From the plush Taw Win Center on Pyay Road to the traditional shops in downtown Yangon, from the swank new branded outlets mushrooming on Kabar Aye Pagoda Road and Pyay Road, to the multiple Junction Shopping Malls opening in busy parts of the city, the crowds are increasing and footfalls in these spending havens have never been higher. With the opening of Myanmar Plaza, retail sales, and the shopping experience has been redefined. Both fine dining restaurants and fast food eateries are multiplying and many have long waiting queues. Beauty treatment in local parlors and spas is seldom possible without prior appointment due to the rush. This is the new wave of consumerism hitting Myanmar, and evident most of all, in Yangon. The number of shops and retail outlets is on the increase despite high rentals and property rates, the variety of stocks available expanding, premium international brands appearing on shelves, and the typical customer has for the first time, the luxury of choice, in his own country. The elite, accustomed to preparing shopping lists for trips abroad, find reason to bring back less each time. Almost suddenly, the latest in clothing, footwear, personal accessories, cosmetics and toiletries are lined in store shelves, and exclusive consumer appliances’ stores are seen selling every new gadget launched by European or Asian brands. Not to mention the latest smart phones and laptops, now that the former have become affordable. The variety of foodstuff and beverages is expanding by the day, much to the delight of international tourists and the expatriate community. Billboards carry advertisements of international brands of clothing, beauty products and food, and the local Myanmar citizens, deprived of all these till relatively recently, are eager to try all that they are being exposed to, excited by the novelty and the experience. The distinct Korean influence , their perception of Thailand as a modern consumer driven country, fascination for Japanese cars and technology, exposure to latest trends due to improved internet access, have all combined to scale up the local demand for products that are increasing in number and quantity even as the number of retail outlets multiplies. A walk down the busy downtown shows the gradual transformation in the appearance of the man on the road. Many have discarded their traditional attire of lungyi, and a section of younger men are seen wearing trousers or jeans, and younger women taking to dresses, skirts and trousers. The ethereal beauty of tanakha (sandal wood paste) on the face is gradually disappearing with facial creams and beauty enhancing products taking its place. The latest hand bags, branded or cheaper look-alikes are fashionably carried, and youngsters especially, seen discarding hynat-phanat (the traditional black slippers) for trendy heeled shoes or embellished slippers. Just two years ago, the traditional attire, worn with pride, was immensely appealing to outsiders and tourists, and it signified uniformity. Today, the battle of the brands will create segregations. Is it the pent up thriftiness, lack of opportunities to spend previously, or paucity of funds that is now being unleashed? Or is it typical human behavior as Myanmar sees an emerging middle class? What is all too clear is that consumer spending is increasing rapidly, markets are full with products and customers, and disposable incomes seemingly higher. The country’s 51 million people, of which 68% fall in the 15-64 years age group, offer a vast market for global manufacturers to sell their products, especially in a country that has barely an manufacturing capability for the present, and 90% of its products are still imported. Manufacture of products of international standards will take some time, a few years at least, and till then the market is open to multinational companies to push demand through advertising campaigns and other ways of creating awareness about the product range they offer. Consumerism is a term used when there is a continued expansion of individuals’ needs and wants for products and services. It is an economic phenomenon of buying more, having more of everything, signifying multiplicity of requirements beyond what is basic for survival. However, modern society has redefined products deemed essential for survival, with our ‘need’ to eat good food with a large variety, wear good clothes in keeping with the latest trends, and stay connected to the rest of the world, to mention just a few. This has extended the human propensity to consume, and since business can survive and thrive only by creating demand for their products, they fuel the fire of wants. The retail sector of any country, as per worldwide statistics, can be valued at approximately 15% of the country’s GDP. 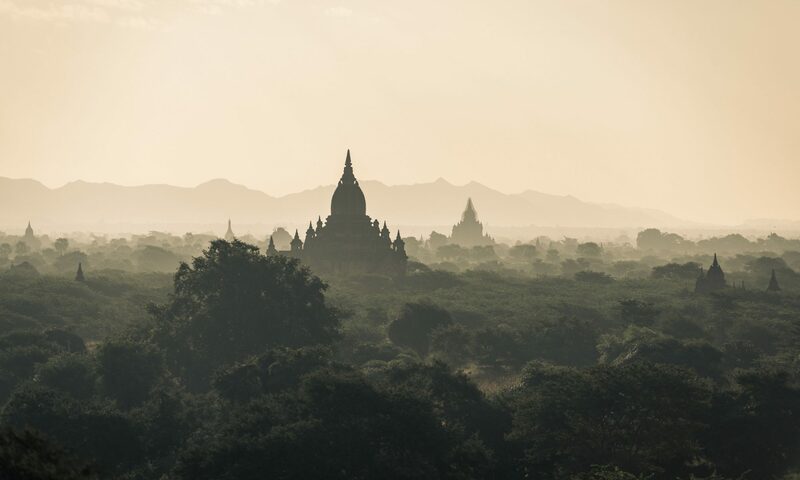 For Myanmar then, the retail market stands at USD 5 billion, and indicating a promising annual growth rate of over 10%. Few countries can boast of a faster growing consumer base with consumer expenditure likely to triple in the next decade. Consumerism is a typical outcome of a capitalist society moving higher on the path of economic development. For a country like Myanmar, this is all so new, and for its people, it is only in the last three years, that the common man has been able to have access to products and services which most of the world has been enjoying for decades. But the era of capitalism is here to stay, and retail is one of the key sectors that sees unprecedented growth as the pace of development picks up. The benefit comes additionally, in the form of job creation, and increased spending spurs growth further. This is the time of transformation of retail markets which are gradually becoming modern, and inching towards international standards in terms of décor, facilities and services. Local shoppers, like their counterparts abroad, typically look for convenience, choice, and easy availability in a market that was closed. The largely supply driven market, had only seen the average consumer base his shopping on need rather than want, more of necessity and shopping not quite an entertaining experience. The evolution of the shopping experience can now be seen with the wave of consumerism sweeping the nation. Market growth, healthy consumer spending and competition come from demand driven markets which sees supply keeping pace with it. This change is slowly becoming evident and store owners are adapting fast, offers promotional sales, freebies and trials to entice customers. Even Yangon, the nation’s most modern city, has been lined mainly with traditional shops, small and basic and what could be termed ‘mom and pop stores’, and these account for 90% of retail sales even today. These come in all sizes in every corner of the city, and include dry foods’ stores, non food outlets, beauty stores, betel shops which incidentally, are the best sales points to consider. The Bogyoke Aung San Market, also known as Scott Market, also fits into this category, while still being the one-stop solution for purchases with local arts and crafts, gemstones and precious stones, fabric and fruit, leather and lacquer ware, cosmetics and clothes. The retail sector has been changing rapidly in the last three years with modern trade channels opening up in the form of supermarkets and hypermarkets, shopping malls and departmental stores, which account for only 10% of the retail market. Shop houses, grocery stores, convenience stores, bazaar stores and general merchandise outlets, continue as part of the traditional market scene clocking higher sales by the day. An estimated 40,000 retail outlets in the highly fragmented market, in the two big cities, Yangon and Mandalay, account for over 50% of total retail sales in the country, which explains the higher consumer spending by the 34% urban population than the remaining rural segment. Consumerism reveals the population’s ability to spend, reflecting a certain level of disposable income. Though the GDP per capita stands at USD 900, the reality of purchasing power seen in the form of vehicles, footfalls in hotels and restaurants, beauty spas and holidays, defies this low figure. The country’s business still runs mainly on cash basis, and cash payments are made for houses and apartments, imported vehicles and other asset purchases. This points to the existence of an extremely rich class of people, besides the middle class that is growing. Yangon remains the trend setter for shopping as well. With department stores like Sein Gay Har, Super One, and Gamone Pwint, supermarkets like City mart, Asia Light and Orange, besides convenience stores and hyper markets, the basket of goods available, is expanding, though prices are higher than the neighborhood outlets. But each of these remain crowded as much by locals as the tourist and expatriates. Malls like Junction Square and Junction Mawtin are seen overcrowded by the younger generation. The cool comfort of an enclosed, air conditioned area with free entry, lures the young and old alike. What had started as an enthusiastic outing to see what is new, has become a routine weekend outing. Clearly, shopping is becoming an entertaining experience, and even the older generation does not grudge the expense incurred for fun. Consumption patterns are changing fast. The demand for everything from consumer durables and high valued assets, to food stuff and beverages, processed foods and confectionery, beauty and home care products, is on the way up. The service industry is expanding rapidly, beauty spas, fitness centers and gyms, hair and nail art salons, restaurants and pubs, are all multiplying in number. Interestingly, there seems to be room for all, and each can claim a chunk of the existing demand without jeopardizing the success of competing outlets. New entrants like Vino, Parami Pizza, the Thai-based Pizza Company, Lotteria, Fuji and numerous restaurant chains opening outlets in Myanmar Culture Valley, are seen full especially on weekends. Eating out has become fashionable, and tasting different cuisines is definitely in vogue. Variety exists at reasonable levels as well. Teashops of old are bowing out to cafes, sandwich corners, bakeries and ice cream parlors. Change is conspicuous in every aspect of life in Myanmar and consumerism is just one part of it. The spending and buying more concept, closely linked to the ideology of pleasure, is causing a significant shift in perception and practice. Thrift, moderation and modesty are slowly taking a back seat, and a relatively ostentatious display of wealth and material comfort coming up. Industrialization has begun but has yet to pick up significantly. Local produce is deemed poorer in quality due to lack of latest machinery and equipment used in its manufacture, uncertain quality of raw materials and lack of skilled labor. It is not surprising therefore, to find that 99% of the products sold in brick and mortar stores, are imported, from countries like Japan, China, Thailand, Korea among others. Already, the cheaper labor is bringing international apparel houses to buy from Myanmar, with the textile industry making rapid strides ahead. Many Asian countries are at various stages of setting up manufacturing facilities here for local markets and exports, in fields like textiles, food processing, automotives and so on. Growth is not restricted to big cities alone, and the next target is tier-2 cities. As earning capabilities improve, so will spending power, and consumerism will reach an even higher level. Previous PostPrevious Is Vegetarianism Healthy?